Former Olympic hopeful Molly Bloom was always the smartest woman at the table. Molly ran poker games on both coasts and made millions catering to rich, elite men who thought nothing of losing six figures in a single night. 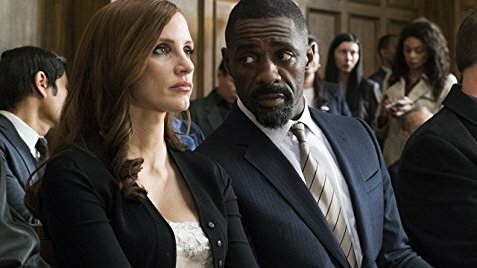 Filmed in Toronto, Molly’s Game asks us to feel empathy for a woman whom Writer/Director Aaron Sorkin clearly feels none. As the Movie opens, Molly (Jessica Chastain hiding under thickly applied make-up) is being arrested by the FBI. Her lawyer (Idris Elba) suggests that she tell the unedited story of her time setting-up high stakes poker games for the rich, famous, and unsavoury of both LA and New York. Unwilling to betray her personal code of ethics, Molly refuses. Instead, Molly tells us the story of her boss (Jeremy Strong), Player X (Michael Cera), and all the people she met on her way down. The audience is expected to like Molly because she has a strict moral code which only slips due to ongoing daddy issues. (This is unambiguously explained by daddy himself, Kevin Costner, in an unneeded Third Act scene.) A worthy hot ticket if only for the cast, I’m calling Sorkin’s bluff and declaring Molly’s Game a weak ace. To enter to win, click “like” on this Post at MR. WILL ON FACEBOOK and indicate for us your City. 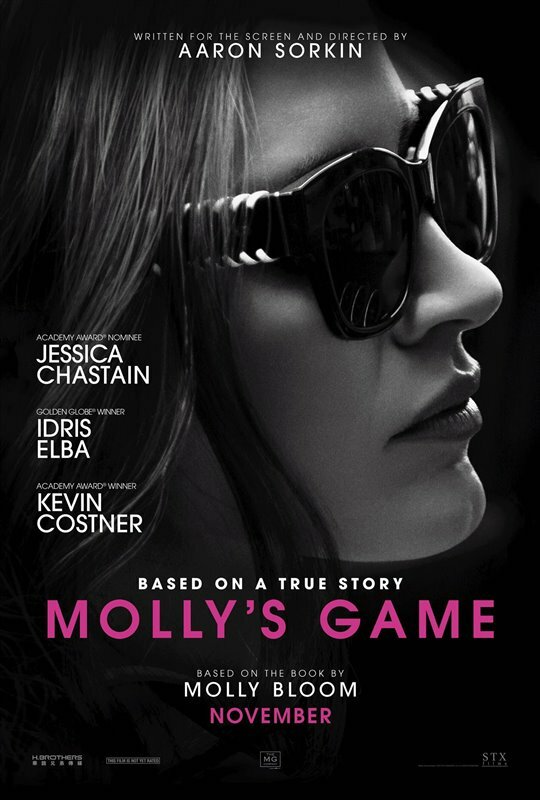 Re-Tweet the MOLLY’S GAME Contest Tweet from @mrwillw for an extra chance. 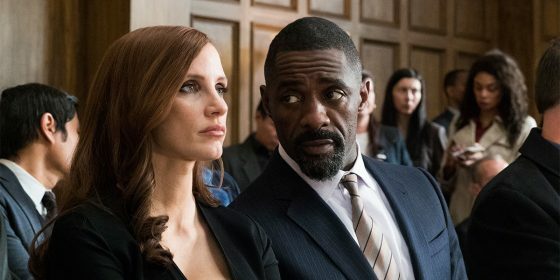 eOne Films release MOLLY’S GAME wide Friday, January 5, 2018. If there’s anyone who belongs in a Sports Drama, it’s Kevin Costner. Have you seen this brand new Trailer for MCFARLAND, based on the inspiring true story of Coach Jim White‘s against the odds transformation a group of under-privileged students into a cross-country Championship Team. Inspired by the 1987 true story, “McFarland” follows novice runners from McFarland, an economically challenged town in California’s farm-rich Central Valley, as they give their all to build a cross-country team under the direction of Coach Jim White (Kevin Costner), a newcomer to their predominantly Latino high school. Coach White and the McFarland students have a lot to learn about each other but when White starts to realize the boys’ exceptional running ability, things begin to change. Soon something beyond their physical gifts becomes apparent—the power of family relationships, their unwavering commitment to one another and their incredible work ethic. With grit and determination, the unlikely band of runners eventually overcomes the odds to forge not only a championship cross-country team but an enduring legacy as well. Along the way, Coach White realizes that his family finally found a place to call home and both he and his team achieve their own kind of American dream. Walt Disney Studios Motion Pictures Canada release MCFARLAND on Friday, February 20, 2015. #TIFF14: DAY 3 RECAP – CHRIS EVANS, ROSARIO DAWSON, KEVIN COSTNER, ANNA KENDRICK, NOOMI RAPACE, JESSICA CHASTAIN, TIMOTHY SPALL, MARK RUFFALO, MILES TELLER, BEN STILLER, CHLOË MORETZ, EDDIE REDMAYNE, BENEDICT CUMBERBATCH, ROBERT DOWNEY JR., JENNIFER GARNER, ANSEL ELGORT, ADAM SANDLER, NICOLA PELTZ, SALMA HAYEK, ANDREW SCOTT, BILL NIGHY + MORE! Today will forever go down as the most explosive day of all time for TIFF! Stars were bursting at every seam after what was felt by the consensus as a a slow start to the Festival on Thursday. Parties were held all around the City and we made several successful Pit Stops around the City and got fueled by Starpower! We also got a little surprise from Australian Actor Alex Russell, whom we met filming CARRIE here a couple years back! The Actor stars in CUT SNAKE at TIFF ’14! He remembers us! We love Paul Bettany and were ecstatic about meeting him as he went about his Press Day for self-directed Shelter, which premieres at TIFF ’14. Midday, we head over to Princess of Wales Theatre to invest a bit of time in one of our favourite Actors, Michael Douglas whom along with Co-Star Jeremy Irvine, premiered their new Thriller The Reach. Although it was a bit of a wait and a struggle with the clipboards from Autograph Collectors, we got our coveted Selfies with both Stars! We thought we’d re-visit the Cast of Paramount Pictures‘ Men, Women & Children once more at the official Party for the Film at new It-Spot, Montecito which happens also to be owned be legendary Filmmaker Ivan Reitman, Father of Director Jason. Fans and Cameras lined the Carpet in eager anticipation as the Stars paraded by one-by-one including a few surprises! I was so happy to see our Friend Ansel Elgort, whom we met here in the City a couple years back when he was filming CARRIE. He noticed us right away at the Carpet proclaiming, “I’ve got to get a Selfie with Mr. Will!”. We’re incredibly proud how well he’s done and also what’s next to come for the Divergent and The Fault in our Stars Talent, who clearly has been propelled into Mega-stardom from the ecstatic screams I heard from Fans everywhere he went today. An annual favourite Fixture of ours at TIFF is the InStyle Magazine Party, which shuts down a strip of Yorkville for a night and the amount of Starpower seen here was s t a g g e r i n g. We admit it was a bit of on the decline mostly due to unfortunate timing later in the Festival after an abundance of Stars leave town, but was it ever a night to remember for the Fans! We’re talking Megawatts! We spotted Channing Tatum, Jon Stewart and many, many more there also!! Okay, we admit it. We were on a high and kept going right after till 5 AM (!!!) when we also spotted several other Stars out and about! Look! We ain’t done. Wait till you see what we have in store next, Willionaire$! All Photos captured on the NIKON D3300 and communicated via the Samsung Galaxy Tab S.
Paramount Pictures Canada and Mr. Will Wong are thrilled to give Readers in Montreal, Ottawa and Toronto a chance to see Jack Ryan: Shadow Recruit! 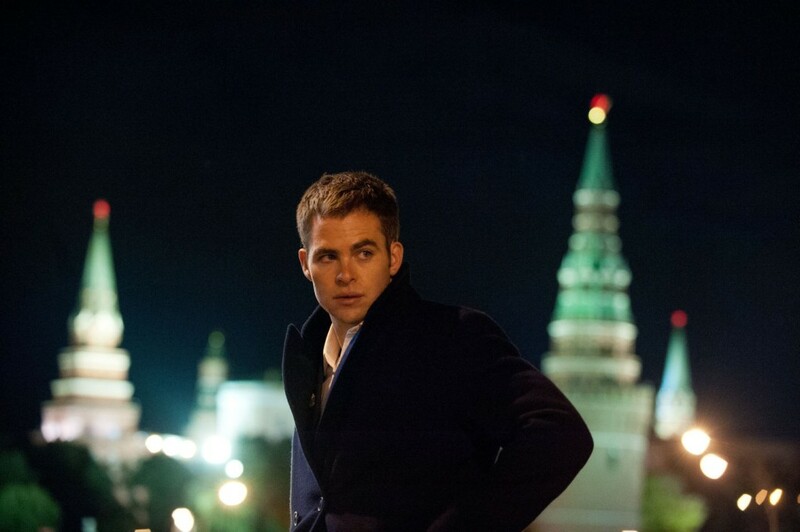 Jack Ryan: Shadow Recruit is ignited with Starpower starring Chris Pine, Keira Knightley, Kevin Costner and Kenneth Branagh. Hearing Knightley in full-on American Accent is reason enough to watch this! To enter to win, simply click “like” on this Post at Mr. Will Wong on Facebook! Indicate for me your City and tell me if you were to have a secret second Career, what it would be! 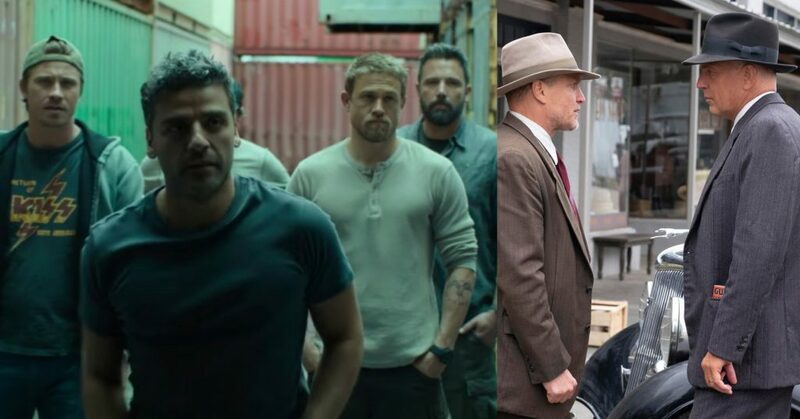 http://mrwillwong.com/jackryanshadowrecruit @MRWILLW wants us to #win Double Passes in #Montreal #Ottawa & #Toronto to see #JackRyan: #ShadowRecruit. 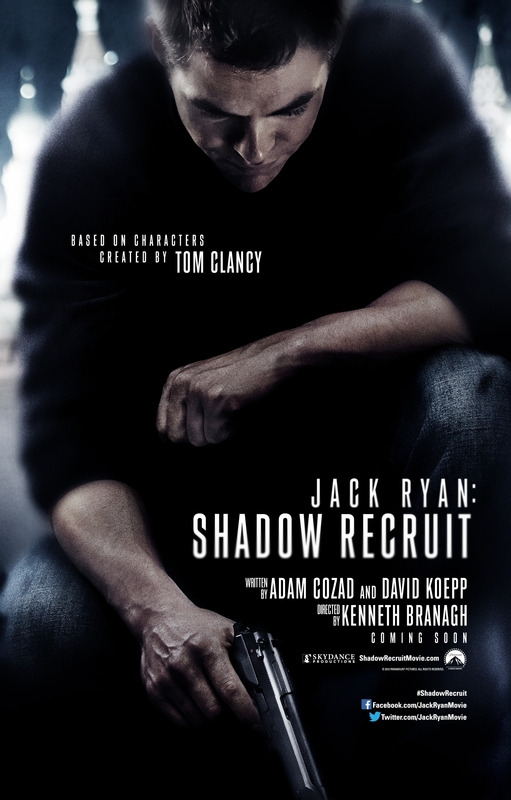 Paramount Pictures release Jack Ryan: Shadow Recruit on Friday, January 17, 2014. He was the first personage with powers to don tights and toss troubles aside. He led the way to a new age, one filled with hope beyond belief, as well as unparalleled despair. Considered to be more than a man it is interesting to note that he is not a man at all. Certainly in appearance, the eye would argue this point vehemently. Nevertheless he is from a far away planet no longer in existence. Torn asunder by wars both natural and otherwise he was forced to flee whilst still a suckling babe. Arriving here on earth he was reared by parents fitting to be called such, for they loved him as their own. Clark they called him, though Kal-El he was in the flesh. Different from everyone else he wrestled a lifetime with this reality. Odd when you think about it. Why would a god worry so? Only a man would raise such a question, and as it has already been stated, Kal-El is neither god nor man. He is a being known by many titles, and yet truly known by very few. He is the embodiment of an ideal so intimidating it borders on offensive. But beautiful it is in fact, and beautiful this movie about the mythos appears to be. Zack Snyder has never failed when it comes to film. Perhaps financially, but never artistically, and the artist is at last ready to unveil his latest masterpiece. Feast your eyes on the splendour. Man of Steel is coming. Warner Bros. releases Man of Steel Friday June 14, 2013.